Now iOS 11 is officially met to the eye. The brand new design and advanced features have attracted millions of people to give it a try. Before you download and install iOS 11 on your device, we strongly recommend you to make a full backup of iPhone/iPad in advance just case that your iPhone gets stuck on Apple logo, recovery mode, reboot loop and won’t restore. In this article, we will share 3 ways to backup iPhone data before iOS 12/11 update, same for iPad. 1.Launch iTunes and update it to newest version if there is any to avoid unnecessary iTunes errors, then connect your iPhone or iPad with it. Click the device icon when detected. 2.Go to Summary > Backups. Check Automatically Back Up to This Computer and Encrypt iPhone backup if you want to sync Health data, account passwords as well. Create a password to protect your personal data if encrypted backup is enabled. After that click Back Up Now. 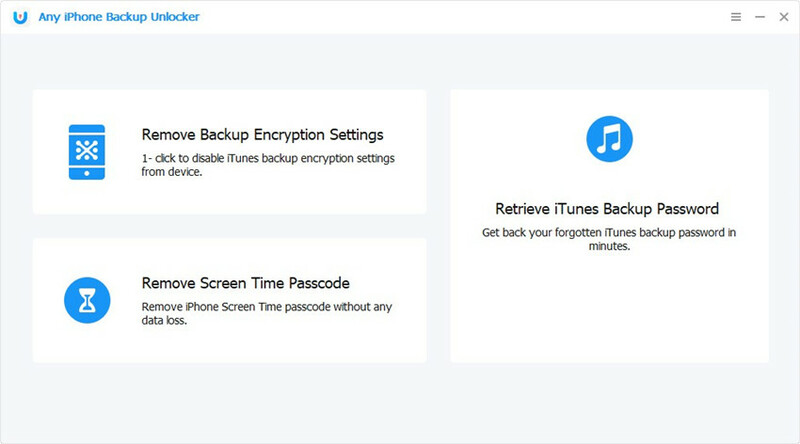 Tip: If you accidently forget encrypted iTunes backup password, you can try a third-party software iPhone Backup Unlocker to recover iTunes backup password. Likewise, iCloud is a good helper to prepare a backup for iPhone or iPad before upgrade to iOS 12/11. A steady Wi-Fi network and enough storage space are required in order to successfully backup with iCloud. On iOS 10.3 iPhone, iPad: go to Settings > Your profile > iCloud > iCloud Backup > Back Up Now. If you are using iOS 10.2 and earlier devices, go to Settings > iCloud > Backup > Back Up Now. However, one thing you should already know is that iCloud has only 5GB free storage, which is absolutely far from enough to store large backup files. Hence you will need to buy more iCloud storage. Except for using iTunes or iCloud to create a backup for iOS 11, there is another way you can take into consideration. That is Tenorshare iCareFone, a PC-based software that allows users to systematically manage iOS files. With it you can decide whether to back up all iPhone data or selectively pick up certain data like app or photos only. 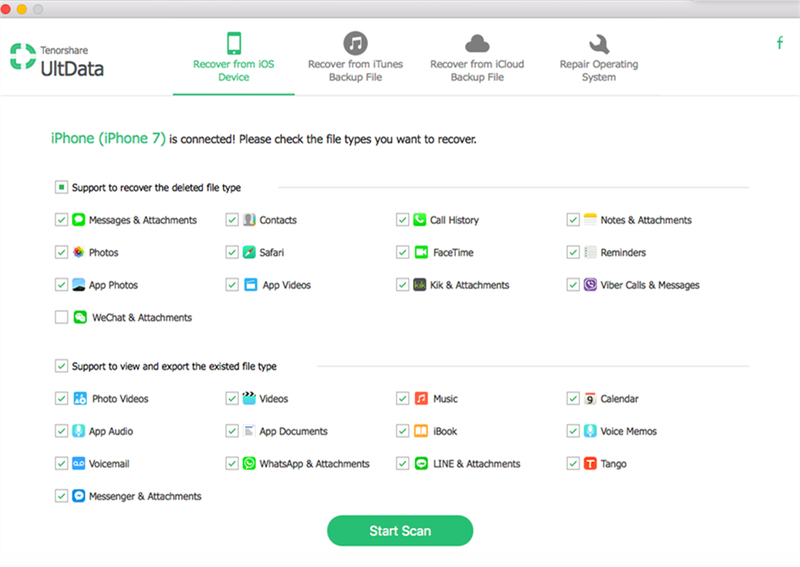 To backup iPhone data without iTunes or iCloud ,free download and install Tenorshare iCareFone on your Windows or Mac computer and connect your iOS device with it. 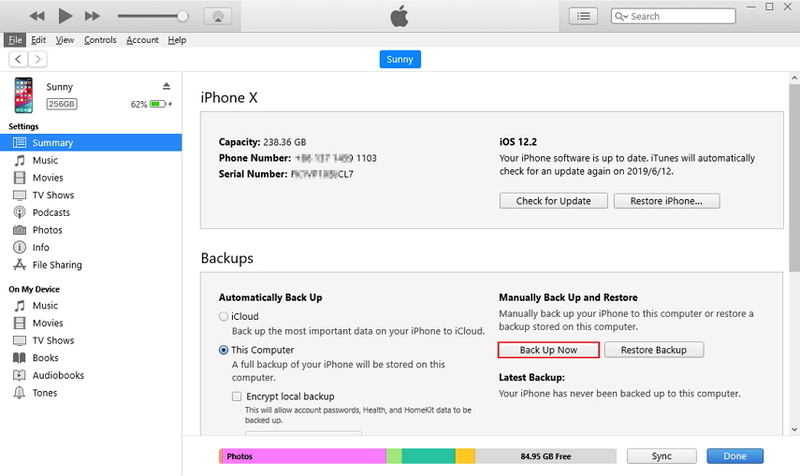 Navigate Backup & Restore section and select which type of data you would like to backup before updating to iOS 12/11. That’s all about how to backup iPhone data before upgrade iOS 12/11. Hope you can get iOS 12/11 smoothly installed on your device.